Roger Federer is playing his 48th consecutive grand slam. With today’s 6-3 6-2 6-2 dominating win (in just over 1 hour) over Dudi Sela, he claimed his 225th victory in grand slams and in doing so, passes Andre Agassi to be in sole possession of second in the all time ranks. With eight and nine more victories in grand slam play, he will tie and pass (respectively) Jimmy Connors for the most wins at the grand slam level. 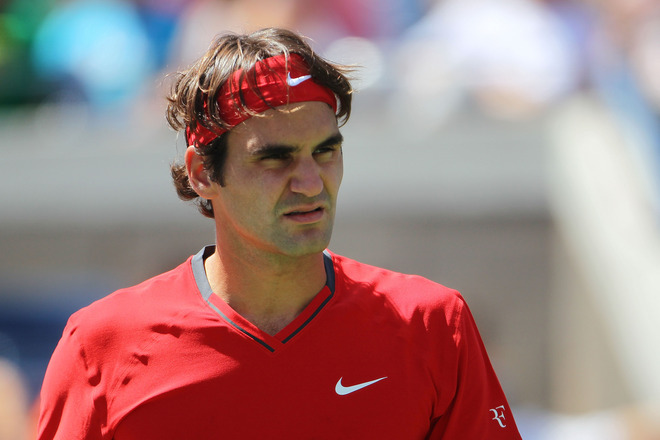 Federer now advances to the third round and will face either 27th seed Marin Cilic or young gun Bernard Tomic. Roger will most likely be scheduled to play next on Saturday. Is this Roger Federer’s new racquet for 2012?